Tonight at The Boulevard Tavern you can warm yourself up from this horrid Winter storm with a hefty dose of hot Blues music. 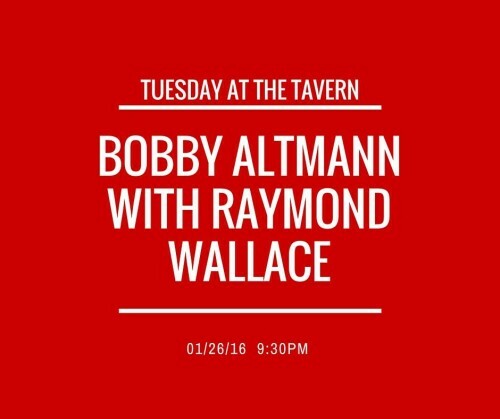 Bobby Altmann will perform with Raymond Wallace. We have not yet had the chance to feature Bobby on Radio Free Charleston, but Raymond has been part of the RFC Family since the beginning. Below you see Raymond on an RFC MINI SHOW. You can hear Raymond and Bobby tonight at 9:30 PM.